​Following a 3-1 loss to the San Diego Padres Wednesday -- the Washington Nationals packed their bags to head to Miami. 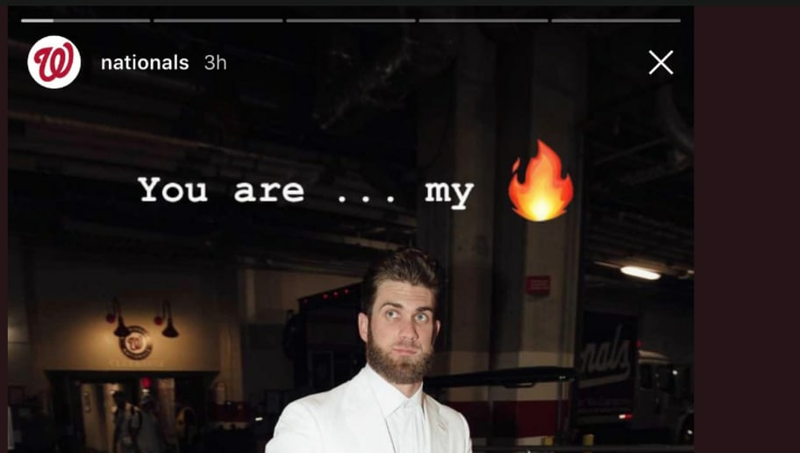 In a fashion trendsetting way, Bryce Harper, Anthony Rendon, and other players dressed up looking like the Backstreet Boys to head to Florida. ​​Out of the bunch, you can see Harper blow away the rest in his all white fitted suit, with the swag of a champion (soon to be). Young prospect Juan Soto is also featured here as he went with the all white long sleeve t-shirt and white pants. He's been the talk of Washington (aside from the Capitals) since homering on the very first pitch of his big league career earlier this week. The Washington Nationals next face Miami on Friday, with Max Scherzer on the hill. He owns a 7-1 record with a 1.78 ERA as he faces Marlins right-hander Jose Urena, who has yet to win a game on the year (0-7).